The Heraklion Archaeological Museum is one of the largest and most important museums in Greece, and among the most important museums in Europe. It houses representative artefacts from all the periods of Cretan prehistory and history, covering a chronological span of over 5,500 years from the Neolithic period to Roman times. The singularly important Minoan collection contains unique examples of Minoan art, many of them true masterpieces. 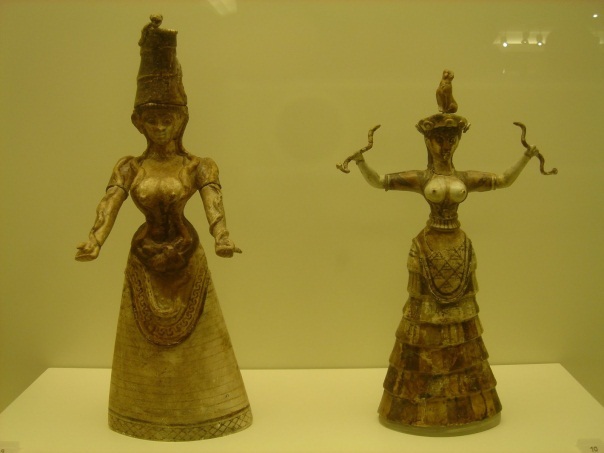 The Heraklion Museum is rightly considered as the museum of Minoan culture par excellence worldwide. The museum, located in the town centre, was built between 1937 and 1940 by architect Patroklos Karantinos on a site previously occupied by the Roman Catholic monastery of Saint-Francis which was destroyed by earthquake in 1856. The museum’s antiseismic building is an important example of modernist architecture and was awarded a Bauhaus commendation. Karantinos applied the principles of modern architecture to the specific needs of a museum by providing good lighting from the skylights above and along the top of the walls, and facilitating the easy flow of large groups of people. He also anticipated future extensions to the museum. The colours and construction materials, such as the veined polychrome marbles, recall certain Minoan wall-paintings which imitate marble revetment. The two-storeyed building has large exhibition spaces, laboratories, a drawing room, a library, offices and a special department, the so-called Scientific Collection, where numerous finds are stored and studied. The museum shop, run by the Archaeological Receipts Fund, sells museum copies, books, postcards and slides. There is also a cafe. 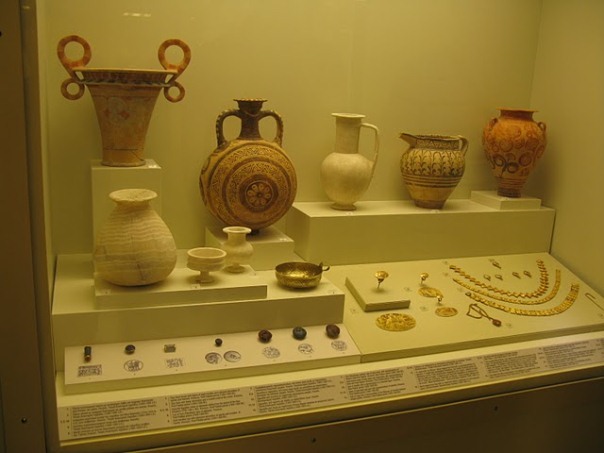 The Heraklion Archaeological Museum is a Special Regional Service of the Ministry of Culture and its purpose is to acquire, safeguard, conserve, record, study, publish, display and promote Cretan artefacts from the Prehistoric to the Late Roman periods. The museum organizes temporary exhibitions in Greece and abroad, collaborates with scientific and scholarly institutions, and houses a variety of cultural events. 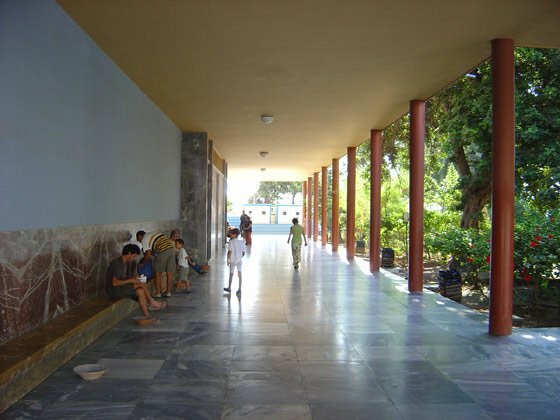 The collections of the Heraklion Archaeological Museum include unique works of Cretan art, found in excavations across the central and eastern part of the island and which cover a chronological span of roughly 5500 years, from the Neolithic (5000 BC) to the Late Roman period (late fourth century AD). 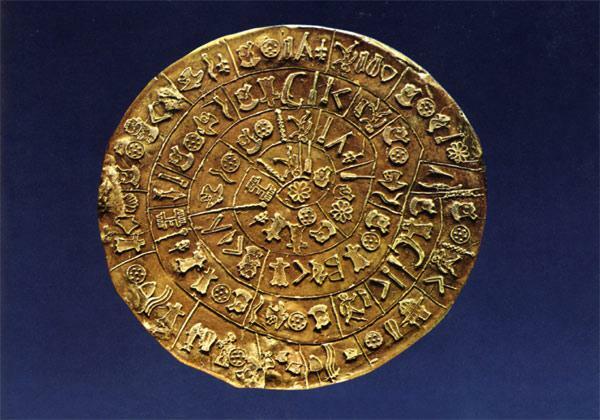 Most objects date to prehistoric times and to the so-called Minoan period, named after the island’s mythical king, Minos. 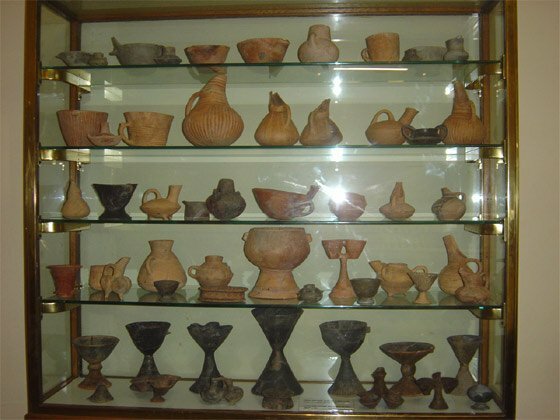 They include pottery, carved stone objects, seals, small sculpture, metal objects and wall-paintings, which were discovered in palaces, mansions, settlements, funerary monuments, sanctuaries and caves. After the completion of the new exhibition project, the exhibition will occupy a total of twenty three rooms and will be organised in chronological sequence. Several important subject units, such as Minoan wall-paintings, will be presented separately from the overall chronological sequence. The objects will be mainly grouped by find-place and, thus, give a complete image of Cretan civilization, as it developed in different regions and important centres. Explanatory texts, photographs, drawings and models of monuments will complete the exhibition. The temporary collections are accessible to disabled visitors.